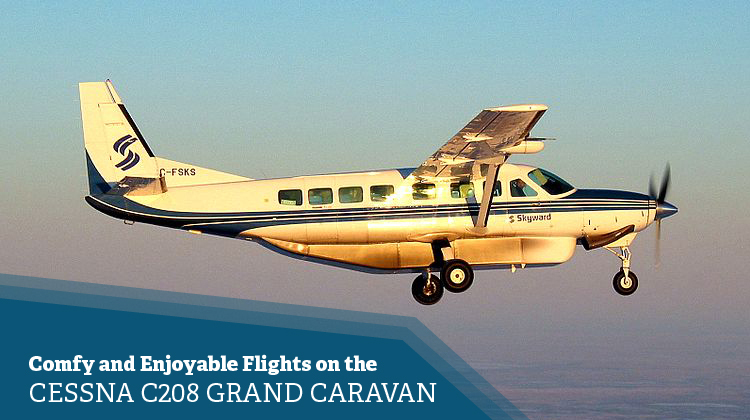 On your next short haul trip, you can now fly in style and with utmost comfort aboard the Cessna C208 Grand Caravan. This aircraft has the interior facilities to make sure you’ll have an enjoyable 1-hour flight or so. Did you know this plane also has Short Take Off and Landing (STOL) capabilities? This means you’ll get to have more options on airports to fly from and land to. As a standard interior feature, the Cessna C208 Grand Caravan has WiFi so you can stay connected with your friends, loved ones and professional networks. The updated Cessna C208 Grand Caravan also has comfy seats which can be reclined. Each side of the seats will have a pull out table. This feature allows you to enjoy your snacks and drinks while looking out the plane’s beautiful aerial views. You may also use the same table as a platform to place your laptop on. This feature lets you catch up on your emails, or update your cloud-based documents. Know more about the specifications of this aircraft, and charter for your very own private ride today. A standard and upgraded Cessna C208 Grand Caravan usually includes areas where refreshments can be prepared while in-flight. This way, you’ll get to relish your specially-made snacks more, as you overlook the plane’s beautiful aerial views. The aircraft is also generously placed with windows so you’ll get to have a much brighter atmosphere in the cabin. Given its 12 seating capacity at a maximum, its customized version may have other facilities you can enjoy. Simply be sure to confirm about the aircraft’s amenities with the operator. If you’re hopping on board a private Cessna C208 Grand Caravan, it would certainly be refreshing to prepare for a meeting while seeing beautiful sceneries. With its steady glides and a moderate flying altitude, you’ll get to appreciate the mountains, landscapes and seas which the plane will fly over. With Toronto, Canada as your take off point, this aircraft can also fly you to as far as Newfoundland and Labrador, and Florida, USA. If you’ll happen to max out the flying range of this plane, it would be best to inquire about its allowable load from the operator. This way, the best possible routes and schedules will be followed within your trip’s flight plan. Keep in mind, a lighter aircraft allows for you to reach farther destinations at the fastest possible rate. 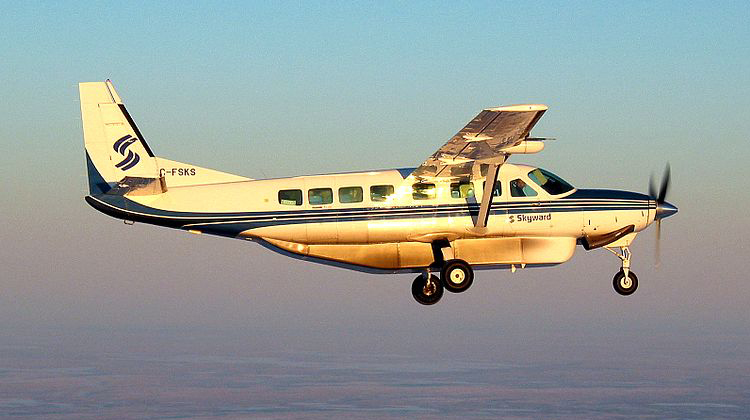 Manufactured by Cessna Aircraft Company, the Cessna C208 Grand Caravan had its first flight in 1982. It had FedEx as its first client and since then, roughly 18 other variants had the aircraft as their inspiration. The plane’s other primary users include the Brazilian Air Force and Colombian Air Force. The Cessna C208 Grand Caravan is also reliable for police, ambulance and freight use.